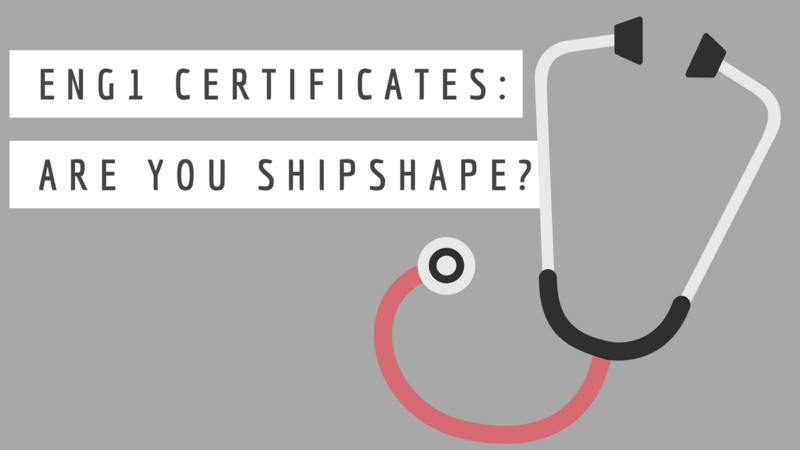 As was reported a few months ago on SuperyachtNews.com, a number of crew members are being caught up in an unfortunate situation where they are heading to unapproved doctors and being issued with fake ENG1 certificates. To help prevent superyacht crew from going to unapproved medical centres for their ENG1 certificates, Edge Yachts has decided to put the approved medical centre information here on our website. It should also be noted that your ENG1 certificate should be issued on paper with blue ink and it will be heavily watermarked. If your ENG1 is provided in black and white ink, it could be a falsified copy, so beware that something is amiss and do not accept the document (source JPMA/SuperyachtNews.com). You should expect to pay up to £80 or €100/$100 for your ENG1, if no further tests are required. Some seafarer medical certificates from other countries are accepted as equivalents of an ENG 1 form. Find the list here. If your current ENG1 certificate expires while you are on a voyage, it is permitted to work until the next port of call where you are able to replace the certificate or for up to three months from the date of expiry, according to the MCA’s online advice. UNITED KINGDOM – see below 19. UNITED KINGDOM: The following list is shortened to those locations closest to the most popular yacht training centres in the UK. 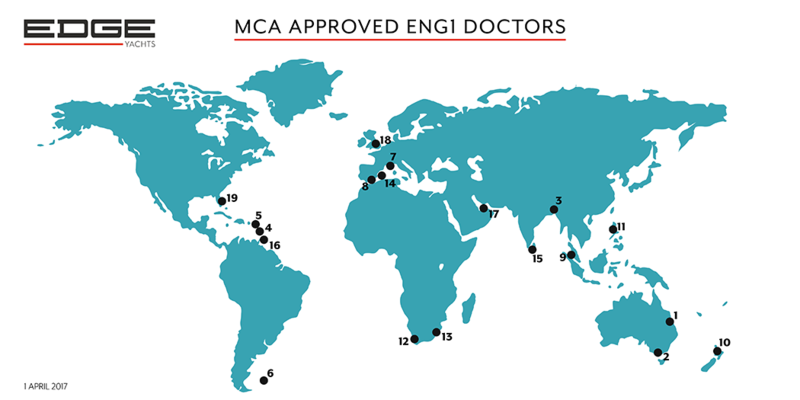 A full list of UK-based doctors approved to issue ENG1 certificates can be found here.